The above products are recommended for installation or mounting of the S-9601 Angled Rail Bolt Kit. 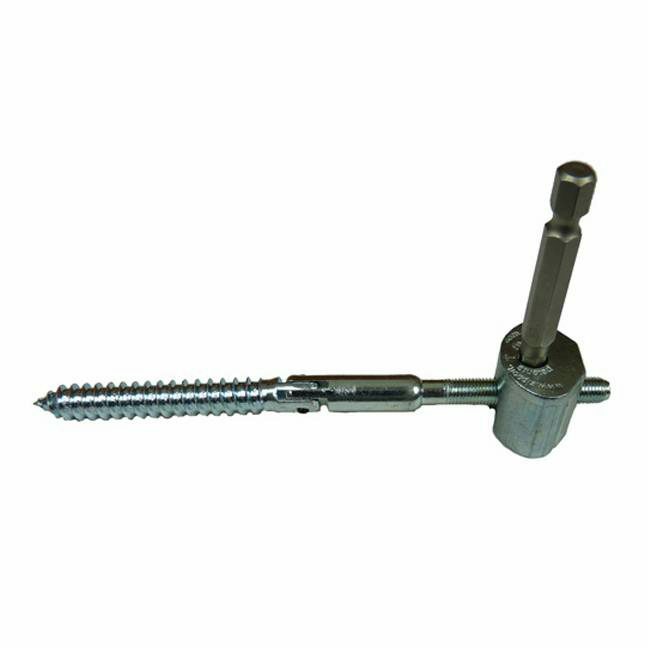 The S-9601 Angled Rail Bolt Kit stair part is used for joining a handrails to a newel at an angle. To tighten this rail bolt you need our 3905 – Angled Rail bolt driver. You will need a wood plug that matches your handrail and fittings search for “plug” on our website and they are available for a minimal charge. 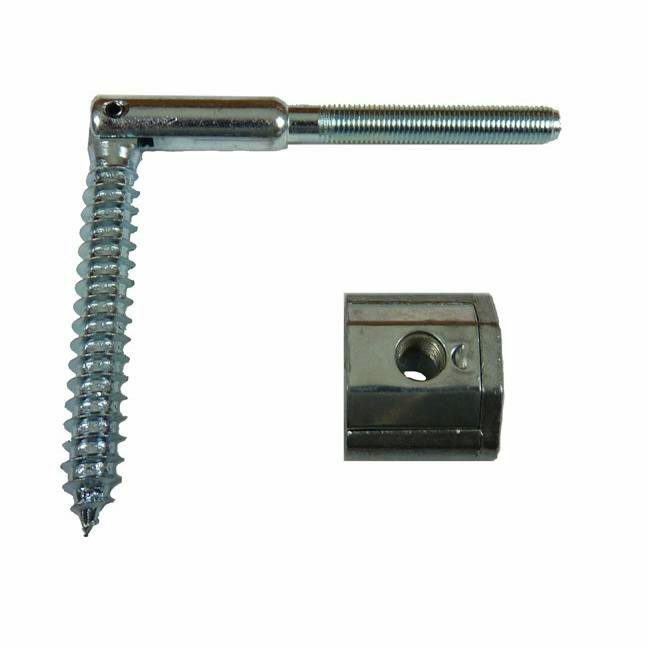 The mechanism that tightens this bolt is commonly referred to as a ZIP bolt. When using the 6000 Handrail and securing to a 4000 3 1/4 Newel what fastening method / kits should be used? Thank you for contacting us, Bruce. We would certainly recommend our S-9601 Angled Rail Bolt Kit for securing the handrail and newel that you mentioned in your question. I have used the angled rail bolt fastener to connect the angled rail to the newel post. One end was easy. But, I can’t figure out how to get the other end of the rail onto the bolt on the other newel. There is no clearance. Help! Thanks for the question – we’re sorry you’re having difficulties during installation. Please give us a call at 1 (866) 226-6536 so a member of our support staff can assist with your installation. What is the size (dia.) and length of the lag? I will need about ten for my project and want to make sure these will work. I have one here in my office and it looks like the diameter is about 1/4″ on the end that goes into the newel and 3/8″ on the end that goes into the handrail. The entire bolt is 5″ long. Are these acceptable to be used on hollow boxed Newell’s (3/4” thick)? Thanks for the question Mike. The rail bolt should have at least 2 inches of wood to go into. With a hollow box newel, you could theoretically put another board, like a 2×4 inside it to provide the thickness needed for the rail bolt.